Quantum Touch: Energy Healing that utilizes the body, the mind, and soul. Quantum Touch is a form of Energy Healing that utilizes the Body, Mind, and Spirit (via the Heart). Quantum Touch is powerful because it recognizes that the energies required for achieving and maintaining health extend far beyond what we perceive as the physical body. The Quantum Touch method begins with a meditative process that connects the electromagnetic field of the Heart, with the electromagnetic field of the Earth. Remember, it is signals from these fields that give cells information about how to function, and what forms to take in our bodies. 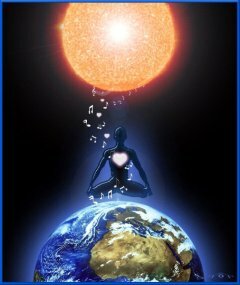 Using breathing and visualization, a connection is then made with the electromagnetic field of the sun. This is critical, as the sun's field influences the field of the Earth, and therefore our Hearts. These fields also have a powerful effect upon the mind, and upon mental and emotional health and well being. Once these connections are made (I believe they are always there, and the meditation process helps bring them to our conscious awareness) visualization is used to access thoughts and images that open the Heart and increase the flow of Love into the body. This raises the vibration of the person practicing Quantum Touch. At this point, the Love energy can be directed to any point in space and time where it is needed, usually, but not always, with the hands. For examples of how this is done, watch the YouTube video and explore the links below. Quantum Touch is not only a powerful form of healing. The meditative process used to increase one's energy vibration, and to connect with the energy fields of Earth, Heart, and Sun, also increases one's conscious awareness of the true nature of body, mind, and spirit. It expands our relationship with the Universe we live in, and promotes feelings of Love for all human beings and all life. It is one of the many tools being used by the one Mind to bring about the shift to higher consciousness on planet Earth, and in the Universe. Learn how to use QT now, OR, Go Back To: The Mind Body Connection to learn more about connecting with the Heart. Energy healing amplifies a wide spectrum of healing modalities: Massage Therapy, Nursing, Acupuncture, Reiki, Qi Gong, Chakra Healing, Healing Touch, and other Alternative Healing Techniques. Practice energy healing using Quantum-Touch. Find natural healing and spiritual healing practitioners and classes. Learn the art of providing a holistic massage using healing hands. This is a basic how-to manual that is well organized and easy to read. 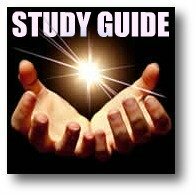 The various Quantum-Touch healing techniques and guidelines are presented sensibly. Life-force energy is an effective tool for healing because of the principles of resonance and entrainment. In physics, entrainment theory is the process where two vibrating objects, vibrating at different speeds, start to vibrate at the same speed when energy is transferred between the two objects. Entrainment shows up in chemistry, nerology, biology, medicine, and more.